"Somewhere between fantasy and country folk reality"
Traveling through green mountains with the fragrance of wild flowers and fascinating panoramas we arrive at Nidal de Nubes, where magic and enchantment combine to make your stay a special country experience. We have 12 beautiful country style rooms, original and comfortable, each with its own name evoking sublime sentiments. The restaurant with its exquisite andes dishes, it's famous soups cooked over wood fires, arepas (muffins) of corn and wheat, open fire trout, etc.. In the midst of swirling fog you can enjoy: Sanctuary of the Mystical Rose, a childrens park, game room, library, arts & crafts, nursery and parking. You can bring your own beverages if you wish and your pet. Our package includes: Dinner, lodging, breakfast, souvenir of Nidal de Nubes and taxes all in one price, per person per night. Children less than 12 years of age are half price. Enjoy our three nights offer with a 10% discount. How to get here? 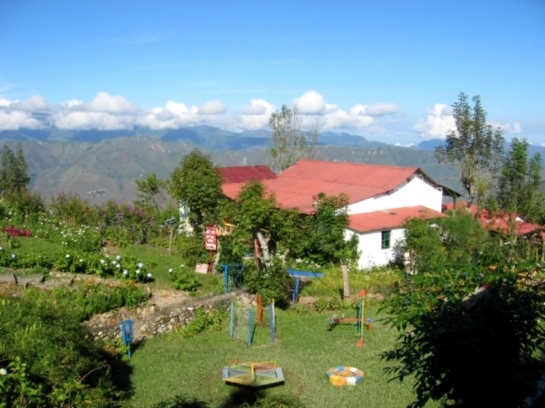 The Nidal de Nubes is located in the State of Trujillo just 28 kilometers from the city of Valera. 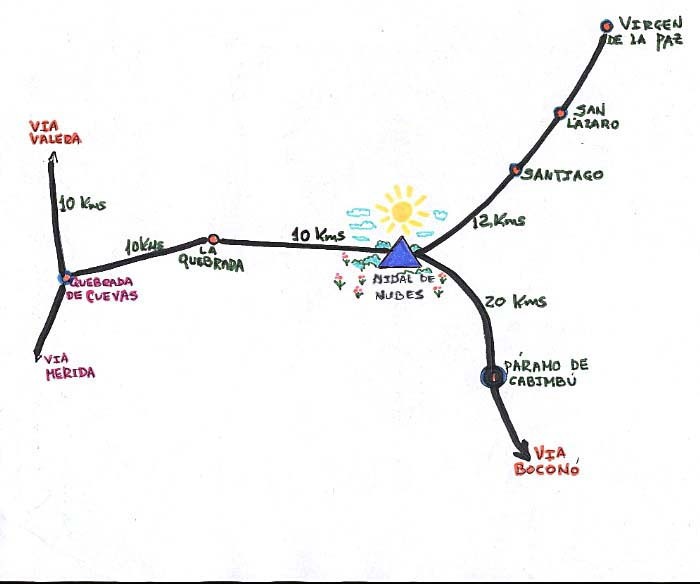 There you should travel up the avenue Bolivar, when you arrive at McDonald's turn left, you will cross a bridge and follow the signs to “Quebrada de Cuevas” (just 8Kms), after the toll booth turn left and 10 kms up the road is the village of Quebrada. Just 10 Kms. further, you'll arrive at Nidal de Nubes, the roadway is fully paved and in good condition. Please ring the bell when you arrive and we will attend you with pleasure. 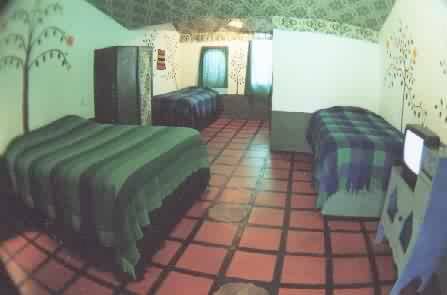 Phone: f0274 - 4166259 In the city of Merida in the state of Merida, close to Los Aleros, is the Posada El Canto del Rio, owned & operated by the same family. Copyright:2005 Nidal de Nubes, Hospedaje y Promoción por W.R., Inc.